Dropped something down the drain? 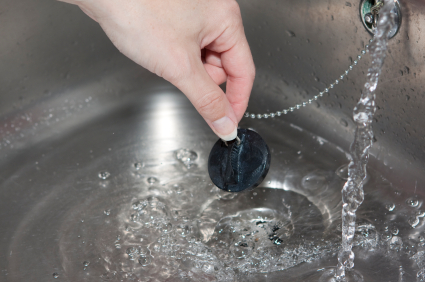 What do you do when you or someone in your home has dropped something down the drain? You name it, it has gone down a drain, and we’ve been called to go and retrieve it or push it through. What it what went down the drain is important to you? We’ve been called countless times for important items, such as wedding rings, keys and even cell phones going down the drain, now what? Ladies and gentleman, don’t panic. I mean it, don’t panic! In fact shut the water off and stop! Let’s start with what to do if something goes down the sink or drain in your Phoenix home. It happens innocently enough, you take off your ring to do the dishes or wash your face and the next thing you know with soap in your eyes you’ve accidentally knocked your wedding band down the drain. This has never personally happened to me, thank goodness, but I can completely empathize when I get the panicked phone call to please save their prized possession. First things first, shut the water off. Every drain, if run to plumbing code, has a p-trap. This p-trap can be a life-saver and can catch items that are heavy enough to not have immediately gone through with the flow of water. Shutting off the water allows the p-trap an opportunity to catch your small item before it hits your branch line going into the wall. If you’re comfortable with removing the p-trap under your sink do so. Be sure to have a large bowl or bucket on hand under the sink to catch the water in the p-trap and hopefully the item that was knocked down the drain. If you’re not comfortable with this process give us a call, we are happy to get you scheduled right away to get the trap removed and your property and peace of mind restored. If you’re small item went down your kitchen sink, the same rule applies, shut the water off! If the item went down the side with the disposal, be sure to unplug your disposal so no one can turn it off, or tape your switch in the off position so no one turns it on. I don’t usually recommend homeowners tackle removing their disposal on their own unless they are incredibly handy. If something has fallen down the disposal side, do not run the water, the disposal or the dishwasher, give us a call immediately so we can do our best to retrieve your item before it hits the branch line in the wall. If you find yourself with an item flushed down the toilet, again don’t use the toilet! There is a trap way/p-trap built into your toilet that may still have your item inside of it, or your item may still be in the flange. If something ends up down the toilet and you want to stop people from using it until you’ve had an opportunity to call us out to pull the toilet and retrieve it I recommend shutting off the angle stop at the back of the toilet as well as taping the lid down with a sign so your family, friends or co-workers know what’s going on.